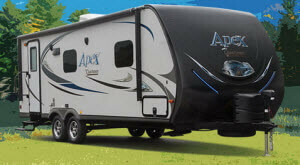 There's a reason why they call the Coachmen Apex "the apex." It's a smart combination of quality, lightweight design and innovation. 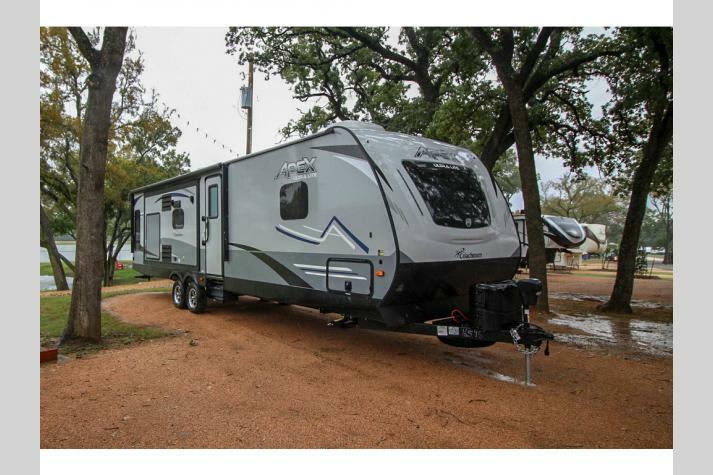 We offer a wide variety of fantastic Coachmen RV Apex travel trailers for sale in Texas. Glazed maple cabinetry provides a homey, warm atmosphere that you can come home to after a day of adventuring. Overhead bedroom cabinets ensure you have plenty of space to store all of the comforts you need to be prepared for your vacation. 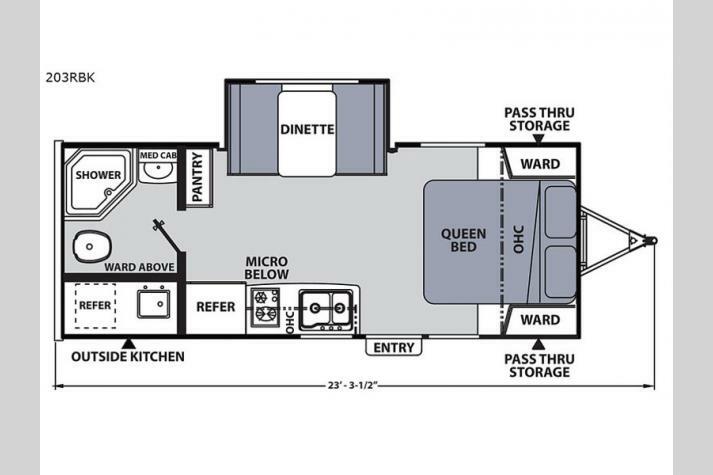 Mini-blinds throughout the coach provide the privacy you would find at home. 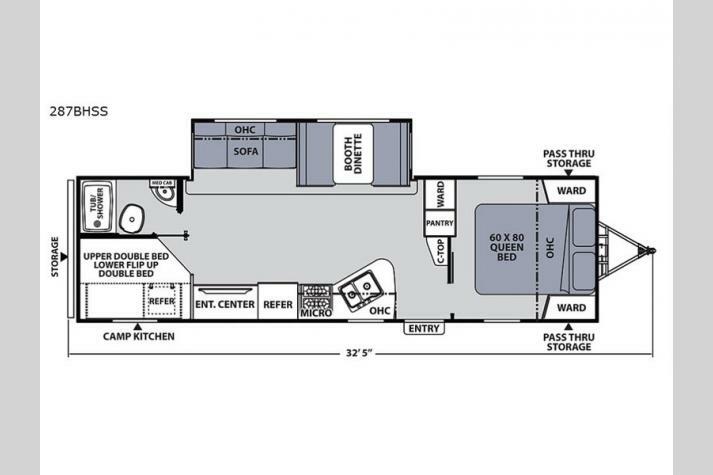 The galley comes complete with a microwave, 3-burner cooktop w/ oven (N/A 18BH) and a double door refrigerator (N/A 18BH, 151RBX). 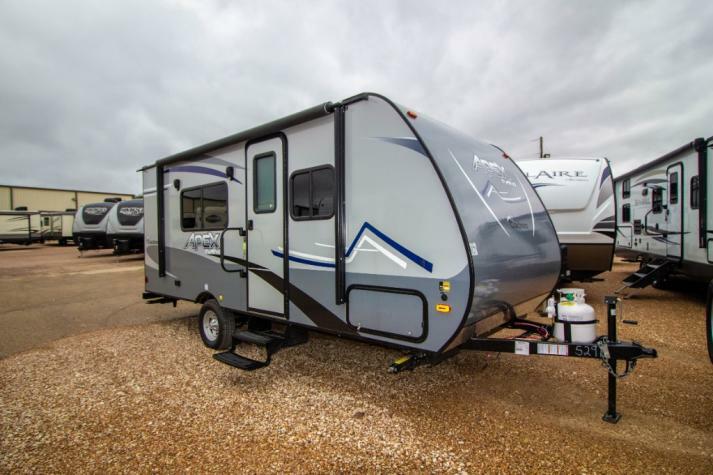 The Apex also offers extensive exterior storage, thanks to its pass thru storage area. The quality you get when it comes to the Apex is unquestionable. The roof insulation—R-11, vacuum-bonded laminated sidewalls—R-9, laminated aluminum-framed floor—R-11, all lend to the sturdiness of the Apex. 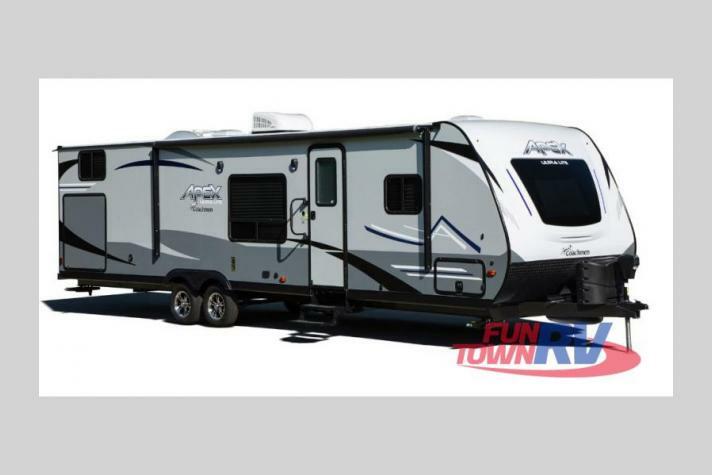 The Coachmen Apex Ultra Lite 258RKS sleeps 6 people and is 28' long. 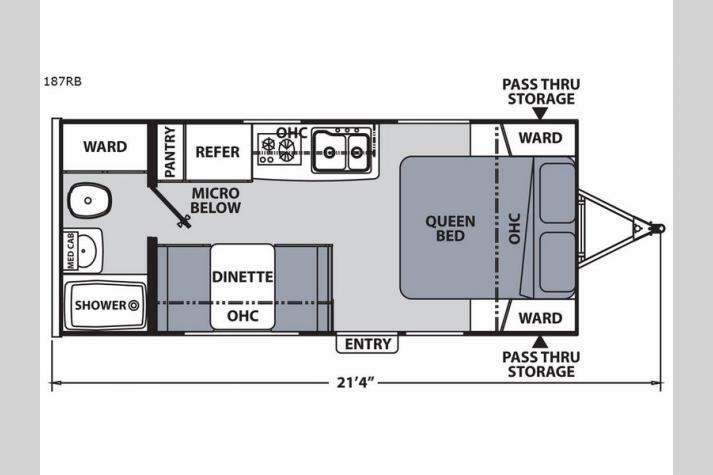 The front has a queen sized bed, while the rear features a spacious living area and large kitchen. 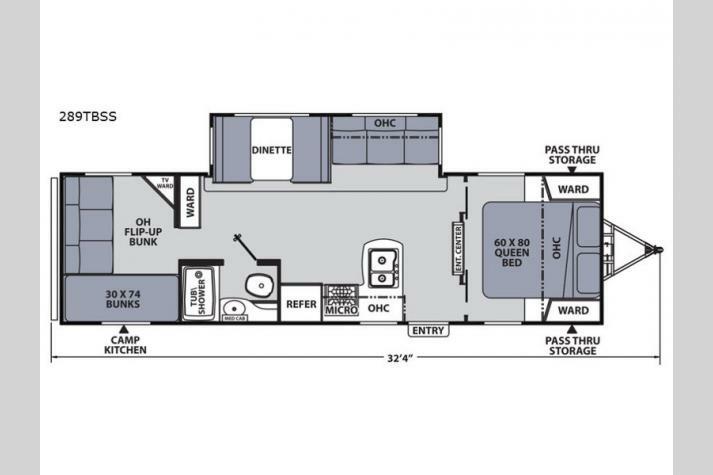 If you need more space you'll love the 268BHS. 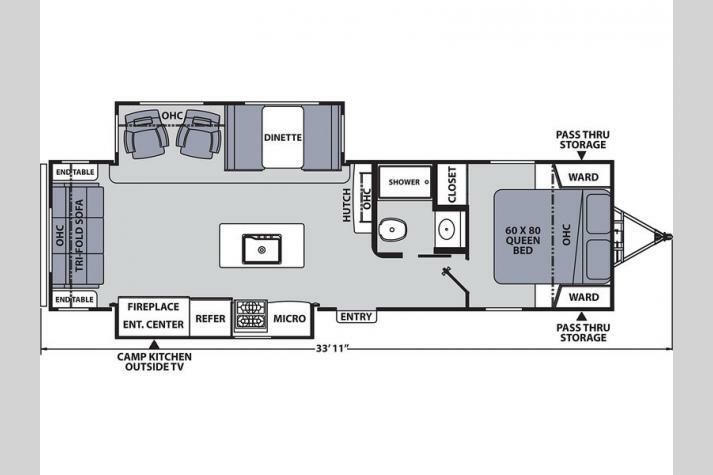 This floorplan is 29' long and sleeps 8 people. 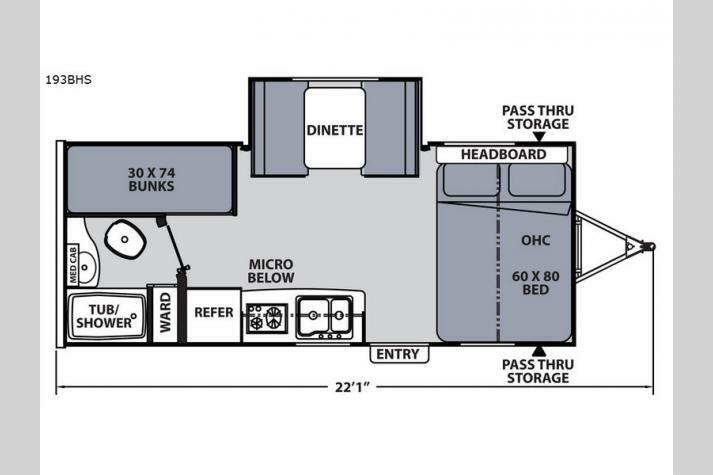 It includes a front queen sized bed, rear bunks, and a huge dinette that doubles as a sleeping area. 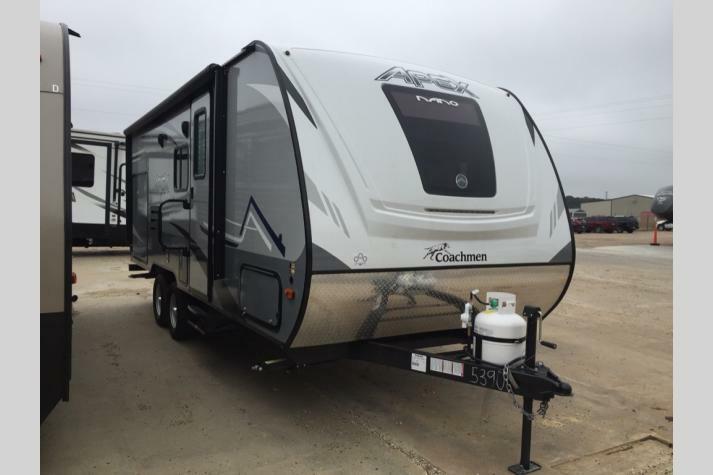 We carry other Coachmen RV Apex floorplans like the Apex 215RBK, the Apex 245BHS, the Apex 251RBK, and more! 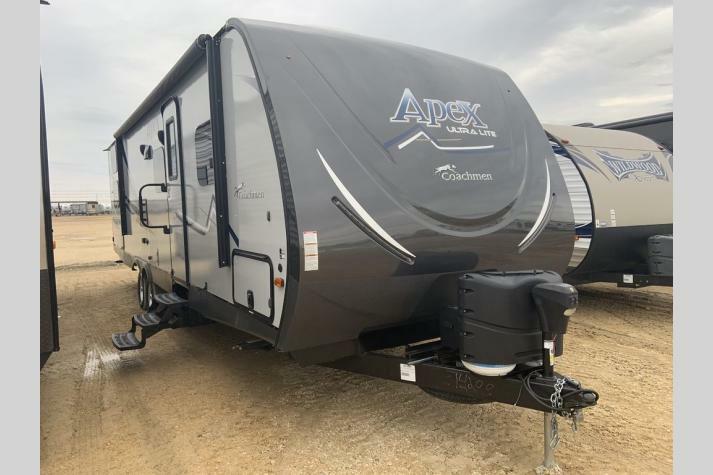 If you're interested in learning more about our Coachmen Apex Ultra-Lite travel trailers, click here to view our entire inventory, and contact us at the top RV dealer in TX. 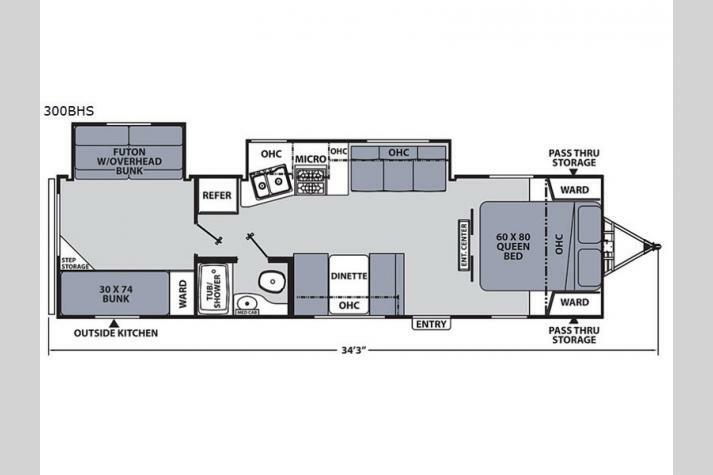 We will answer any questions you have and help you find the floorplan that meets all of your needs. 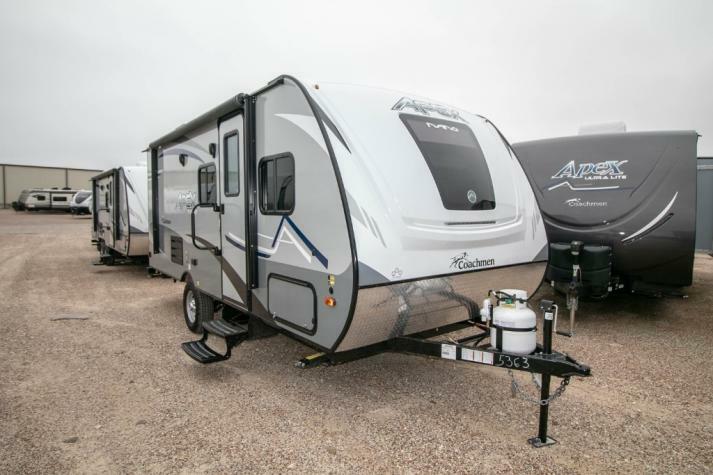 You can also check out some of our other products, including our fifth wheels, travel trailers, toy haulers, and more! 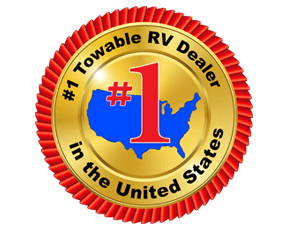 Use our RV search tool to search through our entire stock and to learn more here at your top Coachmen RV Apex dealer in Texas.